Sometimes I get a little bee in my bonnet and I just feel like freshening up my home decor a bit. This week I had one of those days and decided to use my craft stash to create a fun piece of washi tape wall art. I love the pop of color it adds to the room--perfect for the summer months! 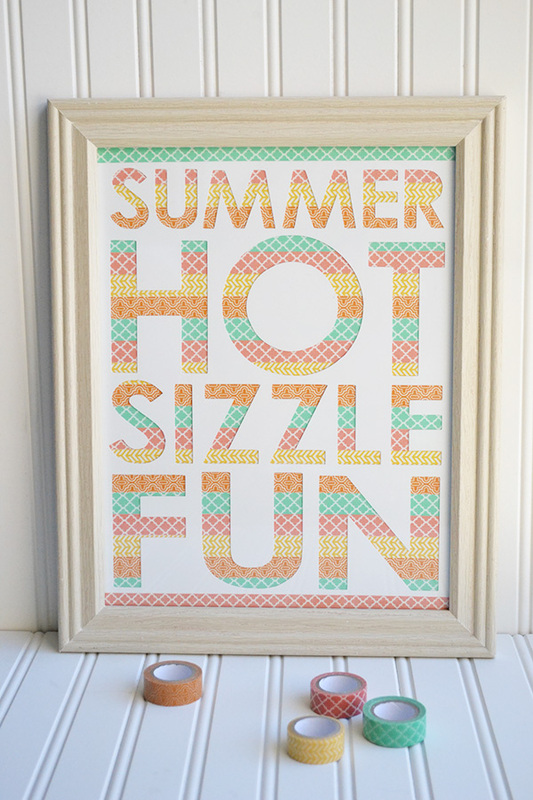 To learn how to make your own washi tape wall art, visit the We R blog HERE. Washi tape not only adds color and style to craft projects, but it can spruce up your household supplies and personal items as well. Last week I picked up this cute little purse size planner. 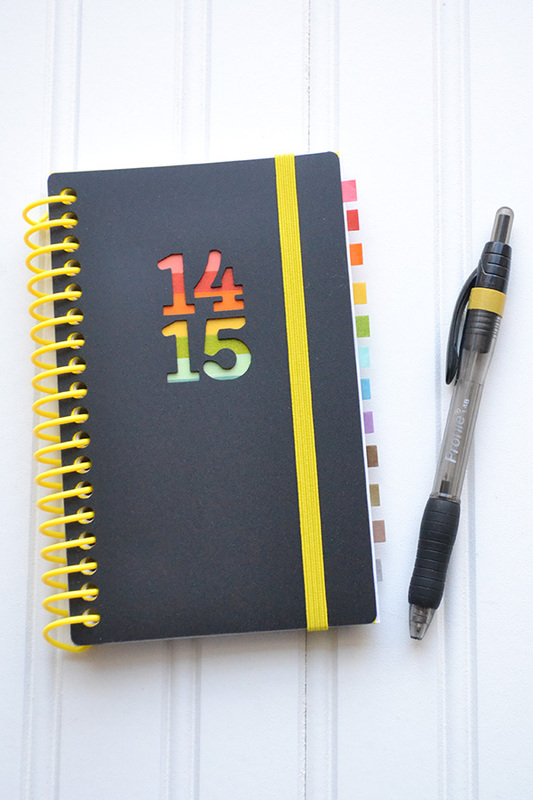 I loved the cut out cover and the sleek black with bright pops of yellow, but I decided it needed some more color so I pulled out my Washi Tape Multi Pack and got busy customizing my planner. More details and instructions for this project are found on the We R blog HERE. Are you a big washi tape fan?? If you've created washi tape projects please share a link in the comments below--I'd love to see them.